After a summer of searching for a condominium unit to buy in NYC, I’ve come across some shennanigans surrounding condo offering plans. 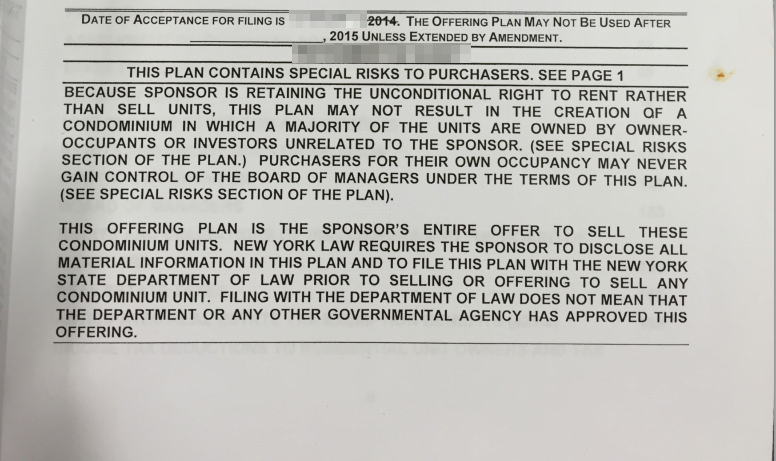 An offering plan is a document that a developer must submit to the State Attorney General’s Office before selling off units in a building as condos. Essentially, it is the description of the new real estate that’s being created, including information on construction materials and processes, initial selling prices, environmental impact, tax breaks and other financials, unit floor plans, estimated energy consumption, etc. This information is provided in an effort to streamline the process by avoiding a long delay and additional cost in purchasing a copy of an offering plan charged by a managing agent or sponsor which can range anywhere between $50.00- $200.00 per copy. The government should be doing this in my opinion, but Mr. Lavender’s site is a great civic hack to help people share the plans they may have access to. [Broker], can you please send a copy of the offering plan? Offering plans are not distributed freely. If an offer is presented and accepted, there is a $100 credit card deposit charge needed for the book for your attorney to review. If there is a contact signed and a closing takes place, the book becomes your property and your credit card credited at closing. If you do not proceed with the purchase your credit card is also credited once we receive the offering plan back. I should note that other brokers have reluctantly provided me with an offering plan (and condo board meeting minutes, and a financial statement) when I asked, prior to submitting an offer. This seems to be the exception and not the norm, and most brokers will tell you that these documents are only disclosed AFTER an offer is accepted. To FOIL, or not to FOIL? I consulted with friends at Reinvent Albany, a government transparency advocacy group, and learned that condominium offering plans are indeed public record, and FOIL-able. I knew it would probably take weeks to get a response, and I had also heard that the AG’s office had recently stopped granting requests for offering plans, but curiosity had me wondering what was so sensitive in this particular offering plan that the developer didn’t want buyers to see. I’ve FOILed public information before, most notably the 2013 NYC taxi tripsheet data which you can read all about here. 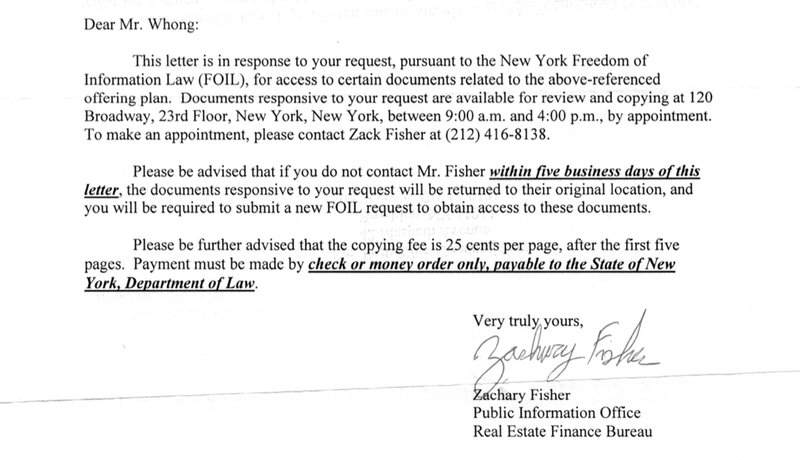 I went to the New York State Attorney General’s online FOIL request form and submitted my request electronically on August 3rd. 8 days later, on August 11th, I got a letter in the mail from the AG’s office stating that my electronic FOIL request was received, and that they were “dilligently searching for documents responsive to my request”, and would update me on their progress within 20 business days. On August 27th, I received the following letter by mail. It wasn’t a CD with a PDF like I had hoped for, but a notice that the physical offering plan was sitting in an office in Manhattan, available by appointment for me to peruse and copy. I had long since lost interest in this particular condo unit, but I’d come too far to turn back. If nothing else, I’d get a little more insight into what the developers didn’t want me to see, and a good story to write-up, so I made an appointment to go in and take a look. I arrived at 120 Broadway, made my way to the 23rd floor, signed in on a paper sign-in sheet, and entered the office. I was directed to a small desk mixed in among the cubicles, where a plastic-bound copy of the offering plan was waiting for me. I flipped through it for a few minutes, snapping a few photos of the most interesting bits, specifically the selling prices. I had been told that for new construction condos, the asking price had to be listed in the offering plan, and any changes had to be submitted as an amendment. I was expecting to see that the developer had raised the asking price for the condo, and didn’t want the buyers to see the original, lower asking price as it might make them keep their offers lower. What I found was the opposite, that the developer had been too ambitious about prices this summer and ended up lowering them since the plan was first published. 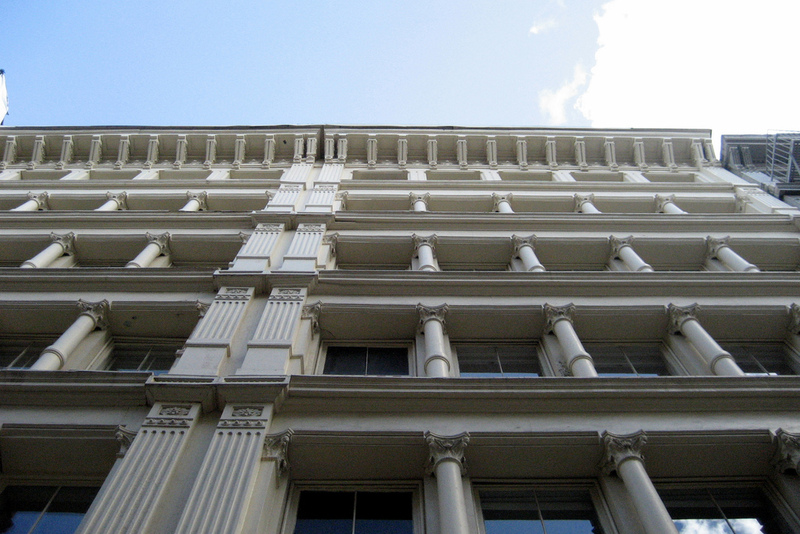 The cover contained an important bit of information about the seller’s intent to retain units for rental (meaning it’s possible that a condo board of owner-occupiers would never be estabished). This would be good to know before going to an open house and putting together a formal offer. Before leaving, I chatted with the FOIL adminsitrator and asked him about the process. He confirmed that there are no electronic copies of offering plans maintained by the State, and that the original lives on paper and is stored in an office in Albany. 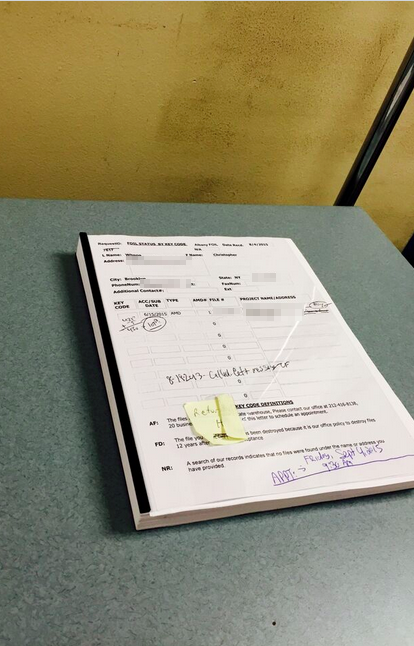 To respond to my request, someone had to find the original paper document, make a copy of it (I assume), and ship it to New York City so I could look at it. I wonder if they will actually ship it back to Albany as the letter above suggests, or if they’ll just shred it in NYC and repeat the whole process the next time someone requests this offering plan. So that’s my latest FOIL adventure. I’m sorry to say that I didn’t make a copy (the time and money necessary were prohibitive). What I do have is a story about difficulty of access to public information, correspondence via mail, and lots and lots of paper. The Attorney General’s office should store offering plans electronically, and make them available instantly over the web to anyone who wants them. 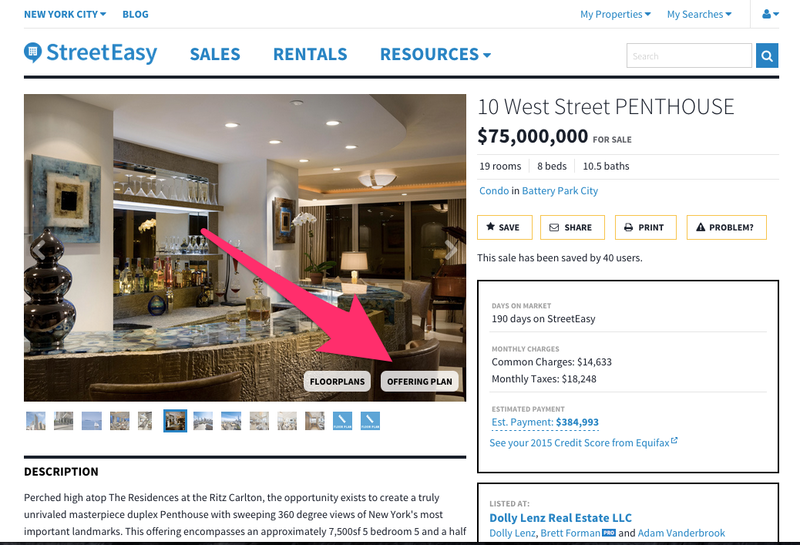 Wouldn’t it be great if you could see offering plans on StreetEasy just as easily as you can see floor plans? 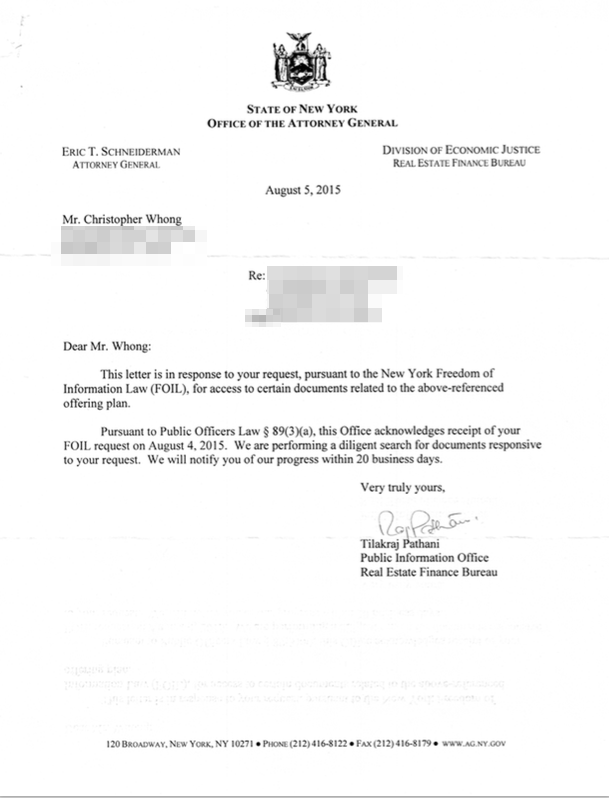 Thanks for reading, please chime in with comments if you have any insight into the Attorney General’s practices around offering plans or similar real estate documents. One Response to "Adventures in FOIL: New York Condominium Offering Plans"
Have been through the same process myself, really painful! They also restrict requests to a maximum of 10 offering plans at a time. I was looking for info on 50 buildings, which would have meant 5 separate requests and 5 trips to their office to make copies. In addition to Offering Planet, TitleVest also has a pretty extensive collection of offering plans freely available.